Specializing in Stuart/Hutchinson Island Waterfront Properties. Also serving the Jensen Beach, Stuart and Palm City areas. Welcome to our Stuart/Hutchinson Island area real estate website. 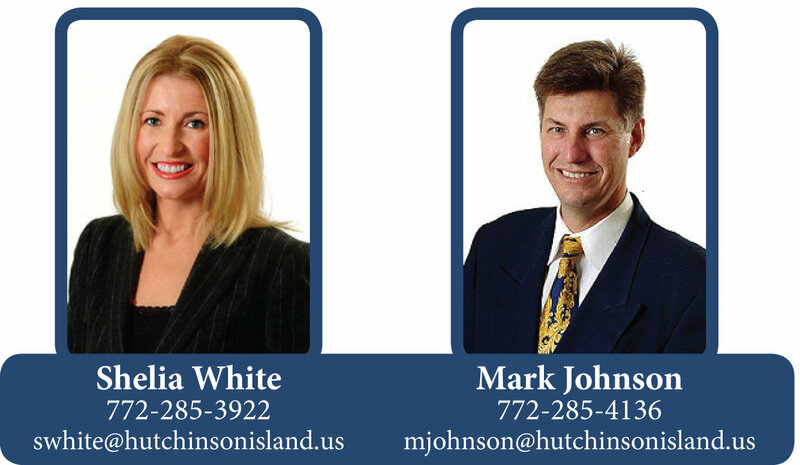 Our team consists of myself Shelia White and Mark Johnson, and we would be happy to help you purchase, sell or rent a property in our area. We have lived in the area over 50 years and have the expertise to help you find the property that suits your lifestyle. Whether you are a boater, fisherman, beach lover, or just like to watch the sunset, we can help guide you to the property that will work for you. We want to make your real estate experience pleasurable, seamless and exciting for you. This website is updated daily and will keep you informed on all properties for sale in the Stuart/Hutchinson Island area. So please, have a look around, and CONTACT US with any questions you might have about the market or any of our complimentary services that we provide. We want your real estate experience to be a good one. Martin county is located in an area called the "Treasure Coast", that encompasses the coastal area from North of the Jupiter Inlet to the Sebastian Inlet. The Treasure Coast gets its name for the fleet of Spanish ships that sunk off the Florida's East coast in the 1700's. The ships, on their way to Spain, wrecked and scattered their cargo of gold and silver coins, jewelry, and other artifacts all over the area. Many items recovered over the years are now in local museums, but there are still buried treasures waiting to be discovered making metal detecting on the beach a very popular pastime for area residents and treasure hunters alike. Martin County sits at the cross roads of where the Indian River Lagoon, also known as the Intracoastal Waterway and the St Lucie River meet the Atlantic Ocean and is an unparalleled part of the Treasure Coast. This natural phenomenon creates vast waterways for travel and leisure, including easy access to the Bahamas. These waterways rank as one of the most important navigational waterways in the US allowing access not only up the entire East Coast but also to the Gulf of Mexico via the Okeechobee Waterway. Roughly 4,000 different kinds of plants and animals reside in the boundaries of the Indian River Lagoon and St Lucie River including 400 species of fish and 300 bird species. Local towns include Stuart, Palm City, Jensen Beach, Hutchinson Island, Port Salerno, and part of Port St Lucie. Very few areas have as much waterfront property as Martin County and with the Gulf Stream just offshore this helps to keep temperatures cooler in the summer and stay warmer in the winter, making our area a very desirable and affluent location. Martin County is the place to enjoy all the amenities that come with life in the city with a laid back lifestyle. Port Salerno is located on the Florida Treasure Coast in Martin County Florida between Stuart and Hobe Sound. This area offers an abundance of natural beauty. Boaters and fisherman love this location because it’s less than two nautical miles to the Atlantic Ocean, the Indian River, and the St lucie River. The rivers are wild and scenic, filled with a vast array of tropical Florida. Port Salerno, Florida is well known as a boating and fishing center Our winter and early spring sailfish run is better than anywhere else in the world. Some days are more productive than others, but double-digit numbers of Sailfish are extreme commonplace during the season. You will also find Port Salerno holds many major fishing tournaments each year. Anglers catch a varity of Dolphin, Wahoo, Kingfish (offshore) and Snook, Redfish, Trout (inland) and many other species of fish. In the 1920s was created a small settlement in the southern shores of St. Lucie river inlet. It was named "Salerno" because the main settlers were immigrants from the Italian city of Salerno. The area increased in population and importance after World War II, with many snowbirds from the northeast moving to live in warm Florida. In 1960 the name was changed to Port Salerno, in order to differentiate it from that of the Italian city of Salerno. In the 1980s the "Chastain Campus" of the Indian River State College was created. Port Salerno is known for the "World Fishing Tournaments" based on the yacht port. The Port Salerno Seafood Festival is a event with seafood, music, arts and crafts and fun for everyone. The festival features delicious seafood, seafood-related events and entertainment. The festival's main attraction is no doubt the food. The on-site seafood vendors offer oysters, crab, scallops, clams, conch, fish and shrimp in almost every imaginable way, shape and form. Located in the historic fishing village of Port Salerno, the Manatee Pocket is a picturesque bay featuring an array of restaurants, marinas, ship building/repair facilities and fishing charters. The Pocket is also home to the Port Salerno Commercial Fishing Fleet and the Chapman School of Seamanship. Its immediate access to the Okeechobee Waterway and the Intracoastal Waterway make the Pocket a popular jumping off point for the boats crossing the state or departing for the Bahamas. Port St. Lucie, “A City of All Ages” has an unchallenged reputation of being able to accommodate almost every level of living style. Each community in Port St Lucie is specifically developed to be all encompassing in residence, business, health care, recreation, shopping, entertainment, education and total quality of life. The opportunities for business and recreation in Port St. Lucie are endless. Film and television production is on the rise in South Florida due to fantastic locations and our beautiful year round weather. Florida Atlantic University has its Treasure Coast campus in the city, St. Lucie West is home to the New York Mets and St. Lucie Mets, Club Med resides here and Port St. Lucie has two of the finest PGA golf courses anywhere. With the addition of The Scripps Research Institute, the area is anticipating a multitude of ancillary businesses creating a large job market with high paying jobs. Gulf Stream breezes help cool the city in the summer and warm in the winter to give a wonderful year around climate. Miles of pristine beaches are just seven miles away and 14 miles of the beautiful St. Lucie River run through the city.